FIRST FILING DATE: 01-06-16 at 8:00 A.M., P.S.T. Until the needs of the services are met and is subject to closure without prior notice. Exercises technical and administrative supervision over a nuclear medicine section employing radioisotope detectors; radiation counting equipment and associated wet laboratory tests to produce graphic and numerical results for the diagnosis of pathological conditions. Schedules, assigns and rotates technologists to the various work procedures and posts to obtain maximum staff flexibility and to assure operational continuity of service. Performs quality control of imagery by referring to physicians orders for prescribed procedures, checking computer program selection, patient handling techniques, machine settings, calculations and documentation of test results, and provides corrective feedback to technicians. Conveys information to nursing personnel of other departments and hospitals regarding scheduling patients for nuclear medicine procedure, preparation of patients, and post test patient care in accordance with established protocol. Evaluates work performance, interviews for hire, recommends first level resolution of employee relation's problems, counsels employees and prepares performance evaluations. Posts revisions ofradionuclidetests authorized by a physician, implements changes in operations and maintains a current procedure manual. Prepares statistical reports of test completions and reports of operational status of equipment to substantiate budgetary requests for equipment and personnel. Checks operation of scanning equipment by elimination procedure to determine need for vendor service or other less expensive maintenance, and directs the ordering and storage of supplies to ensure operational continuity of the nuclear medicine section. Orients resident physicians and visiting professional and technical personnel from other hospitals in nuclear medicine procedures and the use of computer linked radiation detectors, gamma radiation counters, cameras, and videotapes. Four (4) years ofexperience performing nuclear medicine technological procedures at the level of Nuclear Medicine Technologist I* under the direction of a qualified physician in a clinical nuclear medicine facility. A current and valid Nuclear Medicine Technologist Certification issued by the State of California, Department of Public Health. A current certification by the American Registry of Radiologic Technologist in Nuclear Medicine (ARRT-NM) or Nuclear Medicine Technology Certification Board (NMTCB). PHYSICAL CLASSIII - Moderate: Includes standing or walking most of the time, with bending, stooping, squatting, twisting, and reaching; includes working on irregular surfaces, occasionally lifting objects weighting over 25 pounds, and frequent lifting of 10-25 pounds. Please be sure to write the title of your required license, certificate, and/or permit, the number, date of issued, date of expiration and the name of the issuing agency as specified in the Selection Requirements. Attached a legible photocopy of the required license, certificate, and/or permit of compliance to your applicationat the time of filing or fax the required evidence to us within 15 calendar days from the date of filing your application online.Applications submitted without the required license, certificate, and/or permit will be considered incomplete until such information is provided. The original license, certificate, and/or permit must be presented during the selection process and prior to appointment. The required license, certificate, and/or permit MUST be current and unrestricted; a conditional, provisional, probationary or restricted license will NOT be accepted. 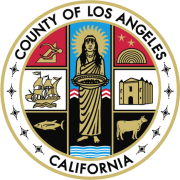 *Experience at the level of Nuclear Medicine Technologist I in Los Angeles County is defined as: performs routine static and dynamic organ radioisotope scanning and associated routine wet laboratory procedures to produce graphic and numerical results for the diagnosis of pathological conditions. **In order to receive credit for Master degree, you must attach a copy of your diploma or official transcript with your application at time filingor fax to us with 15 calendar days from the date of filing your application online. A Master's degree** from an accredited university. Experience in teaching Nuclear Medicine Technology Program at a Nuclear Medicine Technologist School. This examination will consist of an evaluation of experience and desirable qualifications based on application information, weighted 100%. Utilizing VERBIAGE from Class Specification and Requirements serving as your description of duties WILL NOT be sufficient to demonstrate that you meet the requirements. Doing so may result in an INCOMPLETE APPLICATION and you may be DISQUALIFIED. NOTE: If you are unable to attach required documents, you must fax them to (323) 869-0942 or e-mail the documents to the exam analyst, within 15 calendar days of filing online. Please include the exam number and the exam title. All applications must enter a valid social security number at the time of filing. Entering anything other than a valid social security number (i.e. 000-00-000, 111-11-111. etc.) will result in an automatic rejection of your application.